The Miami Marlins' deal to pay its star slugger $325 million over 13 years is the richest contract in American sports history. And it also might be the riskiest. The team has agreed to pay 25-year-old Giancarlo Stanton about $25 million a year through 2027, when he'll be 38 years old. Miami is on the hook for all the money even if Stanton is injured. Likewise, he'll collect even if his performance takes a nosedive. Stanton finished second in the National League's most valuable player voting this year. But it's unlikely he will play well consistently for 13 years. Stanton can opt-out of the contract after six years, but the Marlins can't. "This is very risky," says Gary Gillette, editor of the Society for American Baseball Research's Emerald Guide to Baseball. "This is a good guy to take a gamble on for a long-term contract, but that's too long and too much." Stanton already suffered a nearly career-ending injury. He was hit in the face by a fastball on September 12, and carted off the field in an ambulance. He's expected to make a full recovery, but he hasn't played since the accident. And the Marlins have a long history of losing, finishing last in their division three of the last four years. The Marlin's owner, Jeffrey Loria, tends to dump big contracts, and leave his team looking like the cast of nobodies from the comedy Major League. Right after the team opened its new, city-financed ballpark two years ago, Loria signed a few marquee players only to trade them after a year. Marlins fans were outraged. It will be much harder to dump this contract. "He's gambling on building a contending team around Stanton," says Gillette, and that a jump in attendance and TV ratings will follow. 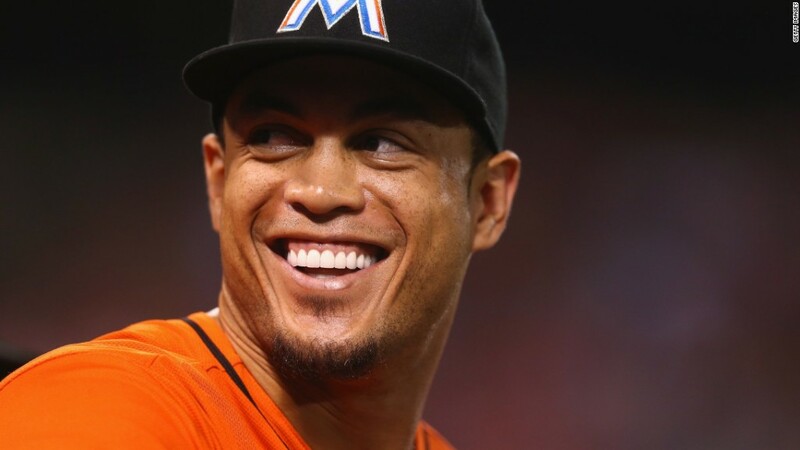 Loria told the Miami Herald that Stanton will be around long-term, surrounded by "All-Star caliber," teammates. Given the team's history, that's optimistic. -- Correction: An earlier version of this story incorrectly stated Gary Gillette's title.